Google Wifi creates a mesh network of individual Wifi points that work together to deliver a strong Wi-Fi signal without the hassle of dead zones or signal drops, network, Bullet1 - fr - Google Wifi crée un réseau maillé de points d'accès Wifi individuels qui fonctionnent ensemble pour fournir un signal Wi-Fi puissant sans les tracas des zones mortes ou des baisses de signal, Bullet2 - fr - Placez ces 3 points d'accès Google Wifi dans différentes pièces pour fournir une couverture de 4 500 pieds carrés, Bullet3 - fr - Le Wi-Fi 802.11ac AC1200 2x2 bi-bande offre des vitesses Wi-Fi ultra-rapides sur un réseau CA et est rétrocompatible avec les réseaux 802.11a / b / g / n.
Model FAP62T coaxial ceiling speaker package will satisfy the needs of owners, architects, contractors, and consultants by delivering true, high fidelity sound reproduction in an attractive and easy-to-install system. These High performance systems are perfectly suited for many business music and public address applications. Compact profile enclosures and wide dispersion make the FAP62T a perfect choice for low ceilings. The loudspeakers components match the performance of the legendary Atlas Sound Strategy Series II FA Series. High quality construction of the 1" voice coil drivers include polypropylene cones with a butyl rubber surround. The19mm coaxially mounted tweeter is constructed of durable PEI. The high sensitivity of the loudspeaker means less power may be required to achieve the desired SPL. The loudspeakers are factory assembled to an optimally tuned & ported deep drawn enclosure and include a specially designed low saturation 70.7V/100V transformer. Designed to provide high performance in a very compact footprint, the FAP40T appeals to both system designers and architects. FAP40T is ideal for high-intelligibility voice, music, and signal reproduction in commercial, industrial, and institutional applications. A unique (patent pending) tap selector switch design allows for easy system tuning. A full selection of taps up to 16 watts as well as an 8 ohm transformer bypass setting is included for maximum system versatility. This switch "knob" also functions as a diffuser cone, providing smooth, even dispersion of the high frequency content from the center of the 4-inch polypropylene driver. In fact, the high frequency response of the FAP40T is so natural that many would assume that the driver in the FAP40T was a coaxial design instead of a single cone driver. Low frequency response is enhanced by the tuned and ported enclosure design. The enclosure (UL1480 pending) is made of high impact injection moulded plastic with a press fit grill. 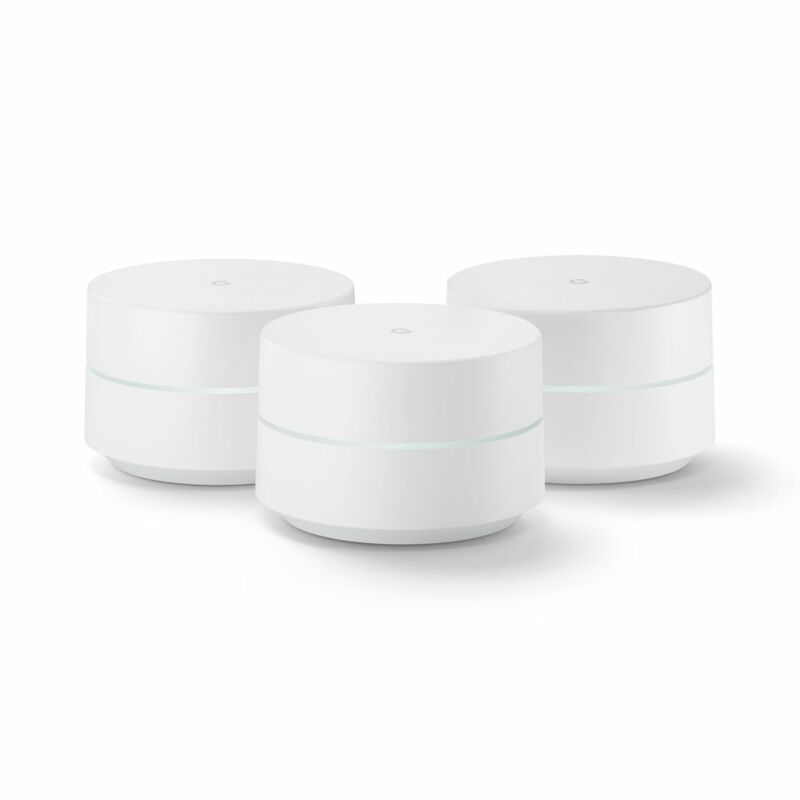 Wifi AC1200 Whole Home Mesh Wi-Fi System - 3 Pack Make strong, reliable Wi-Fi coverage a standard in your home with Google Wifi. Designed to replace your router, this networking solution offers dual-band 802.11ac Wi-Fi coverage with TX Beamforming to ensure every device in every room is covered. Download the Google Wifi app to manage your usage, prioritize devices, and share your network with guests. Wifi AC1200 Whole Home Mesh Wi-Fi System - 3 Pack is rated 3.0 out of 5 by 1. Rated 3 out of 5 by Sanjeev from Easy Setup Pro: - Easy Setup. - Working good so far. Cons: - Limited flexibility in settings for eg. unable to delete stale\ old devices. - Unable to configure Device lease time. - Unable to block sites as per my requirement. As a parents that is the main function I would like to control. - Unable to see sites visited. - No web console available, can only be control by in phone app.